Provides audio, charge and control. Compatible with most GROM integration car kits. High quality cable that delivers the quality sound. 10FT long. Integrates iPod or iPhone to the factory car stereo, iPod or iPhone can be controlled using car stereo buttons or steering wheel controls. This cable has old style connector and is not compatible with latest iPhone 5 that uses "Lightning" connector. 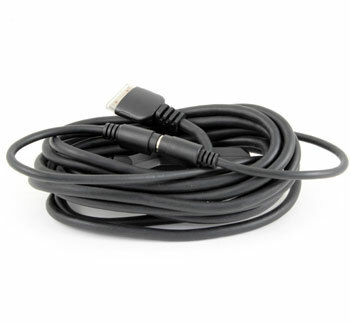 To use this cable with "Lightning style" iPod or iPhone connector, "Lightning to iPod converter" is required.